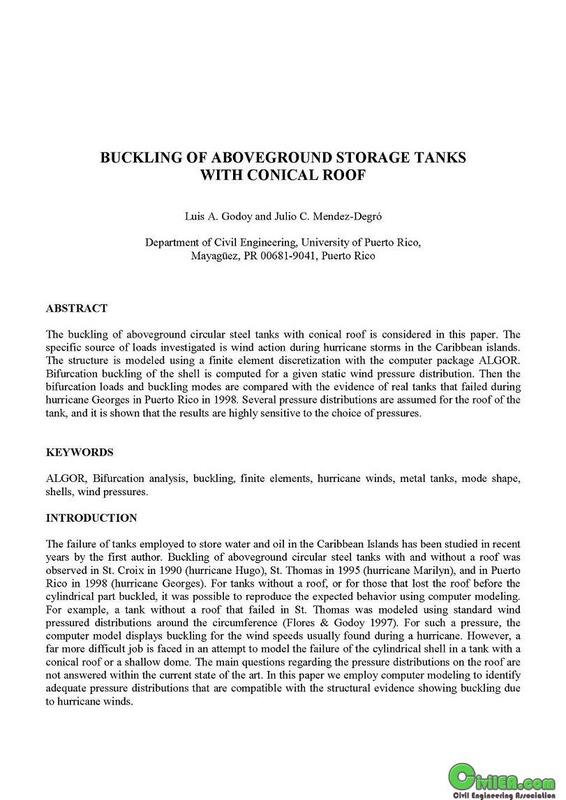 specific source of loads investigated is wind action during hurricane storms in the Caribbean islands. The structure is modeled using a finite element discretization with the computer package ALGOR. tank, and it is shown that the results are highly sensitive to the choice of pressures.